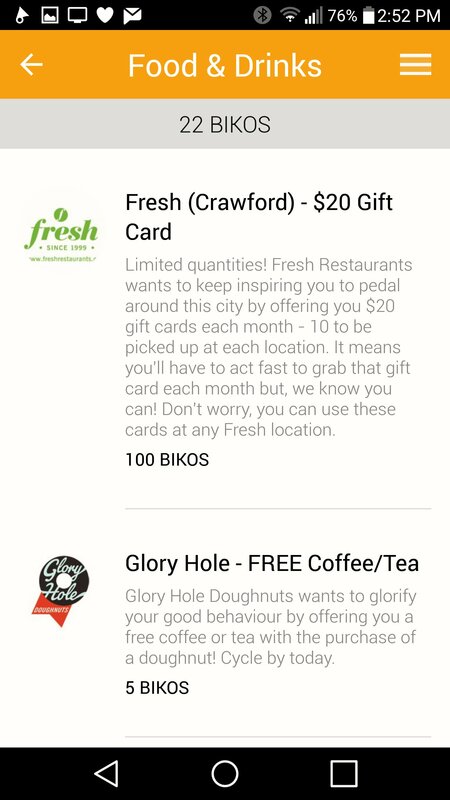 There's a new app for cyclists in Toronto, and it's called Biko. I installed the Biko App on my Android phone last week and have been using it to record my rides. 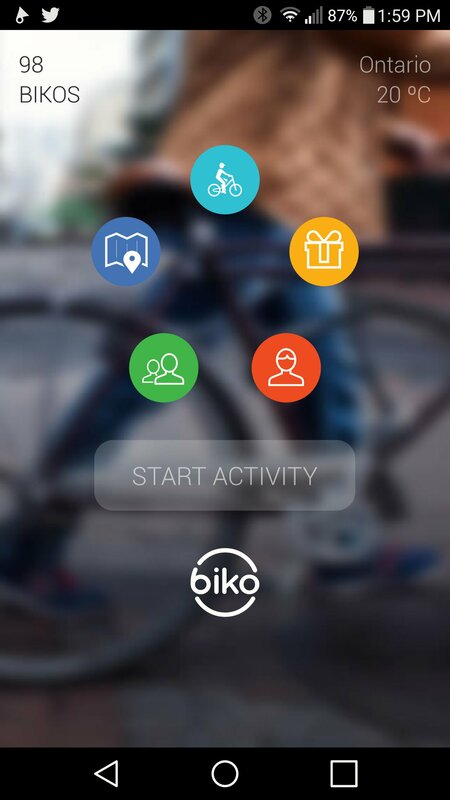 The key benefit of Biko is the digital reward points you collect for each kilometre you ride. These points are called "Bikos" and they can be exchanged for goods and services. New businesses are joining all the time and after a few rides I already qualified for ten free cold brews from Jimmy's Coffee, a free six pack of beer from Amsterdam Brewing or $40 off a tune up at Urbane Cyclist. 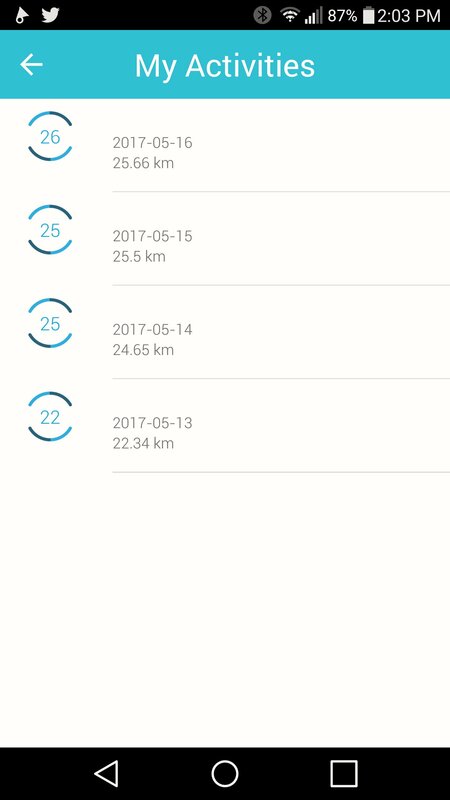 In addition to collecting Bikos, which is a whole lot of fun, the app measures your average speed, carbon emissions saved, and calories burned while recommending safe paths to ride. It couldn't be easier to use. This valuable data on urban biking behaviour is shared with city planners looking to increase bike lanes and facilitate safe cycling. This cyclist thinks that's awesome. For those interested in getting the Biko app, you can visit your phone’s app store or visit Bikoapp.com. Here's my current home screen after my first four rides. Here's my current list of my rides. Details of each ride are easily accessible. And redeeming your Bikos is fun and easy. My wife recently started a children's clothing company called Mint + Chip. She does lots of custom orders, and sells various kids stuff that she makes at home. I'm no expert, but I'm told it's well made quality clothing and she enjoys hammering away on the various sewing machines. She sells her goods via her Facebook page, and if someone lives within a reasonable distance from our home, it's free delivery. It's free delivery because I'm the unpaid bike courier. Every day at lunch I'm told what package needs to be delivered to what address, and I plan my route accordingly. I love it. On days when there are no deliveries, I'm actually disappointed. No pressure, but if you'd like to ensure I have more free deliveries to make, spread the word about Mint + Chip. 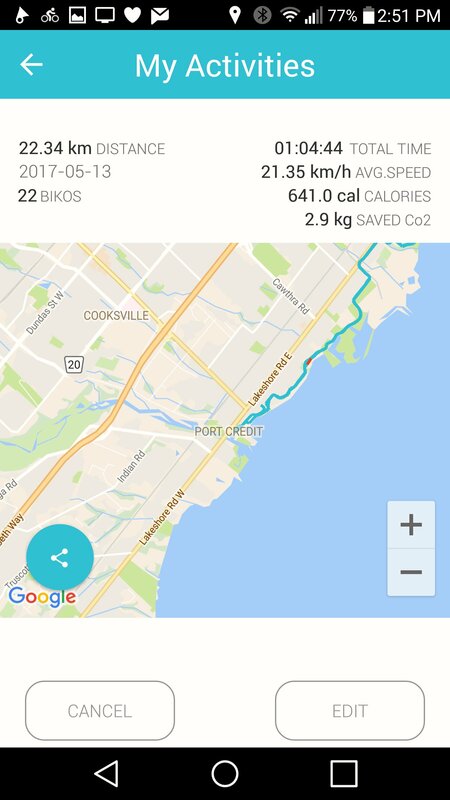 I just finished a 32.31 KM bike ride bringing my May 2016 total to 1014.16 KM. 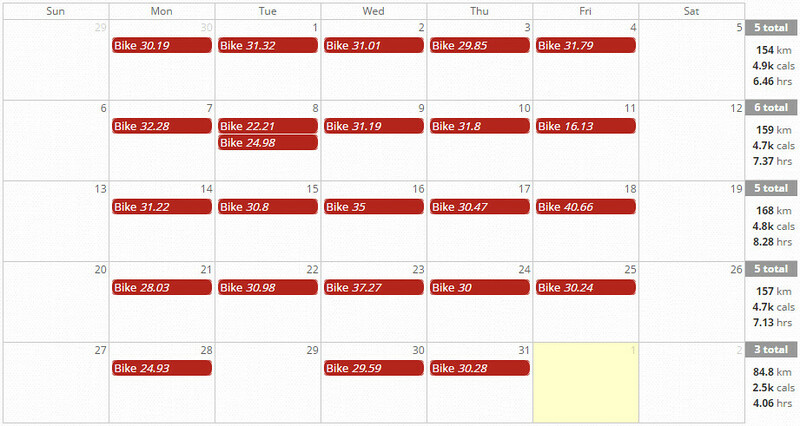 This is the first calendar month of my life in which I cycled more than 1000 KM. 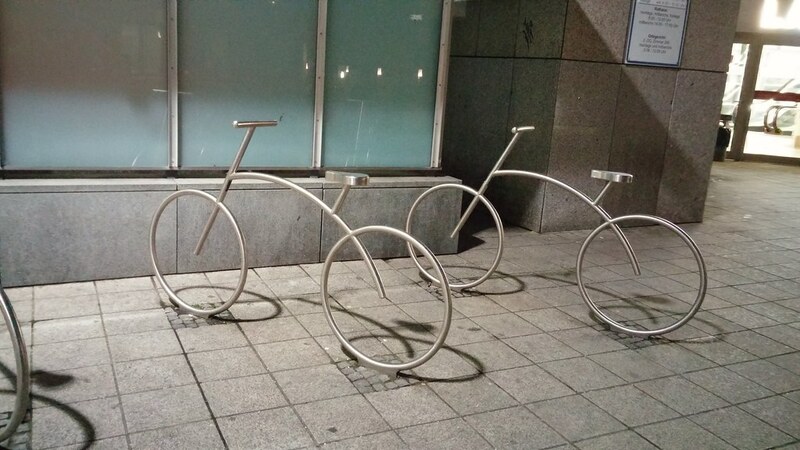 Well, they're not locking their bikes to bikes, but locking posts in the shape of a bicycle. This may exist elsewhere, but I've only ever seen it in Germany. 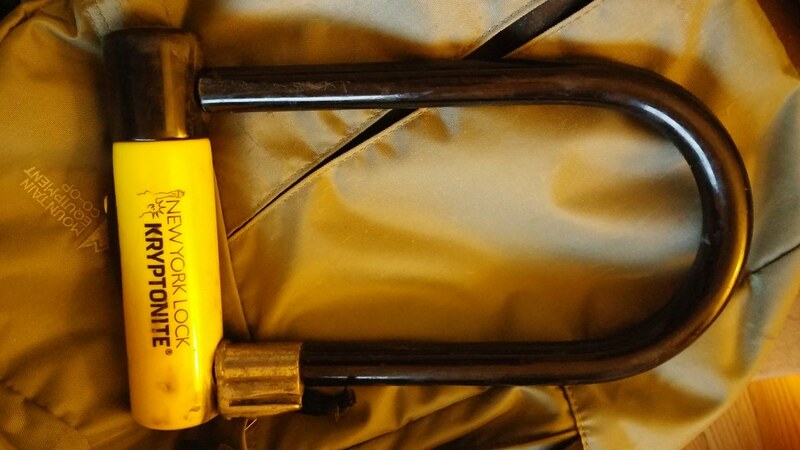 In Denmark, people are so trustworthy, bikes are often only locked to themselves, if they're locked at all. I walked past many a fine bicycle that was only locked to itself so you couldn't ride it, but could easily be picked up and carried. On the streets of Toronto, those bikes wouldn't last five minutes. 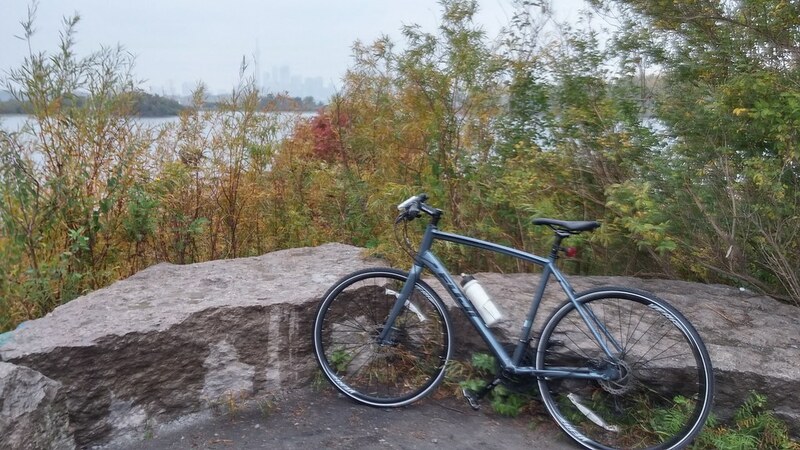 On days like this, I bike east on the Martin Goodman Trail. That cycling trail is actually maintained by the city during the winter, so they plough and salt. And they really, really salt. I get why they dump so much salt down, as their primary concern is safety, but it's like biking on gravel. 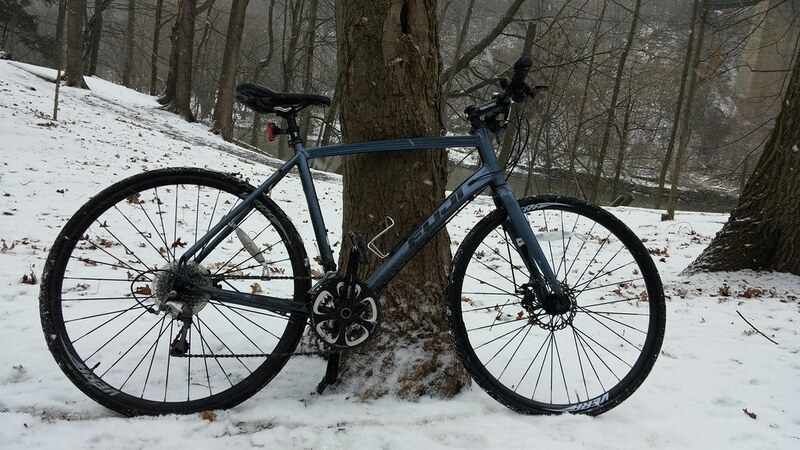 I can't tell you how many tubes I've busted from riding on salt. Today, when I was cycling at lunch, one lane of the trail was ploughed and salted and the other was not. I decided to bike in the unploughed lane. This, it turns out, was a bad decision. I crashed, creating quite the visual distraction for backed-up motorists on the Gardiner Expressway. Once I realized I hadn't broken any bones, I got up, put the chain back on my bike, and started cycling so the motorists knew I was okay. I was fine, but my bike was not. With a disabled bike, it was time to start walking west towards home. It was sunny along the waterfront, and for the next 45 minutes, I saw things in a completely different light. Here's a pic I snapped shortly after falling. It all looked so damn pretty. 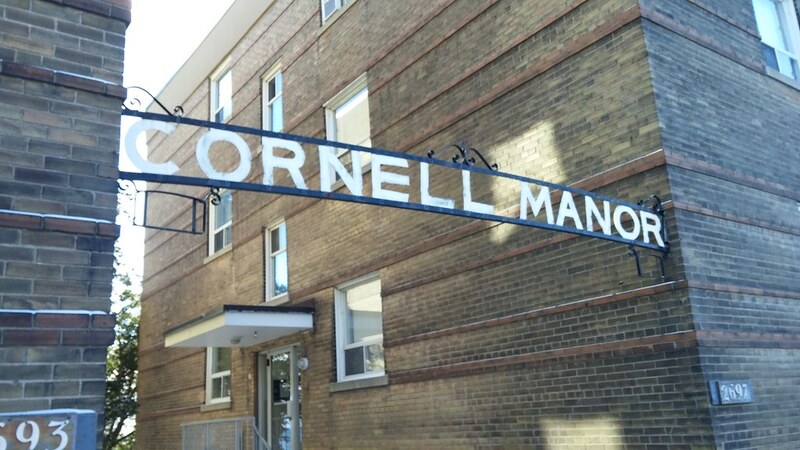 Then, there were the low rise apartment complexes along Lake Shore. 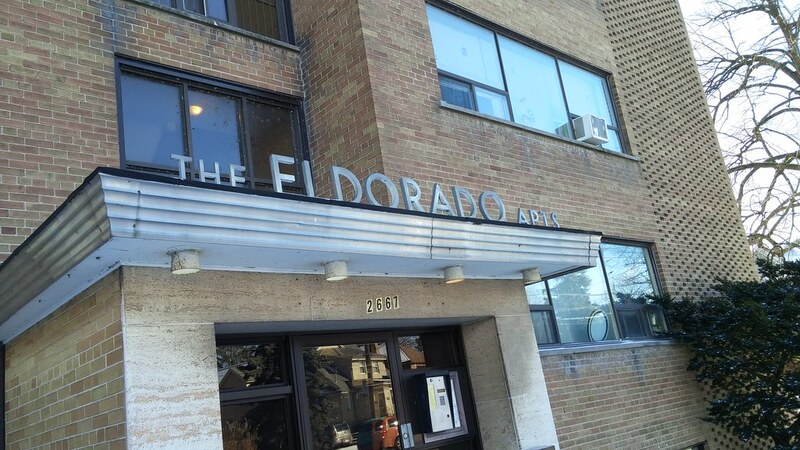 I had biked by them hundreds of times, but I had never really realized how cool the signage looked. 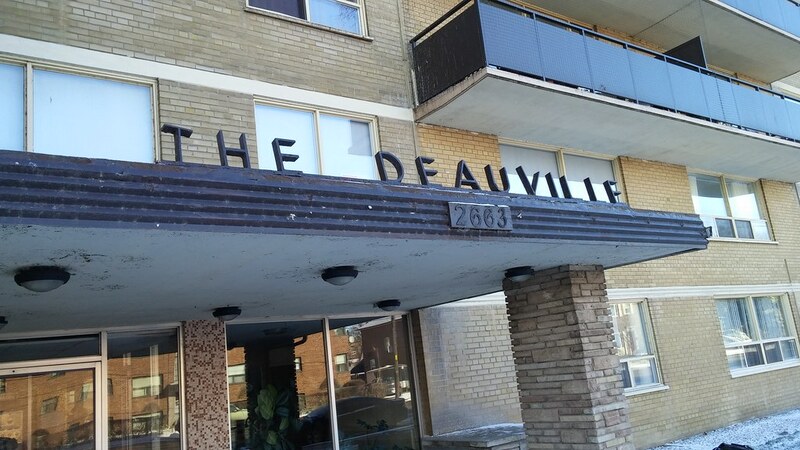 One day, these old signs from a previous era, will be gone. I often tell motorists that they're missing most of the city by not cycling instead. It turns out, you'll see even more if you go for a walk. In 2014, I biked 4693.42 KM. 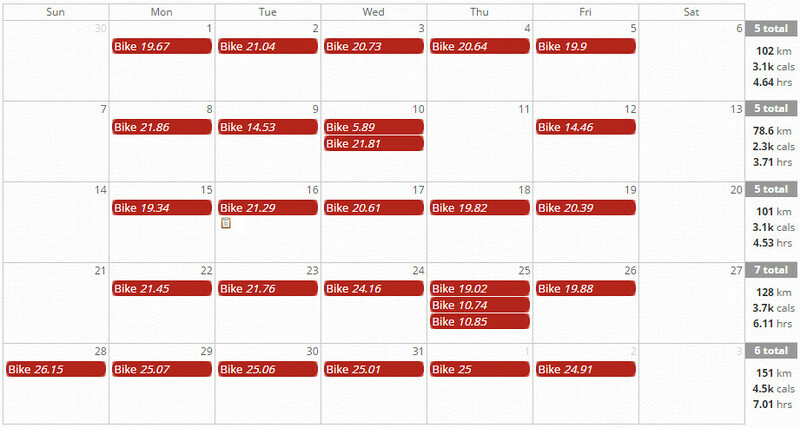 It was the most I had ever cycled in a calendar year. 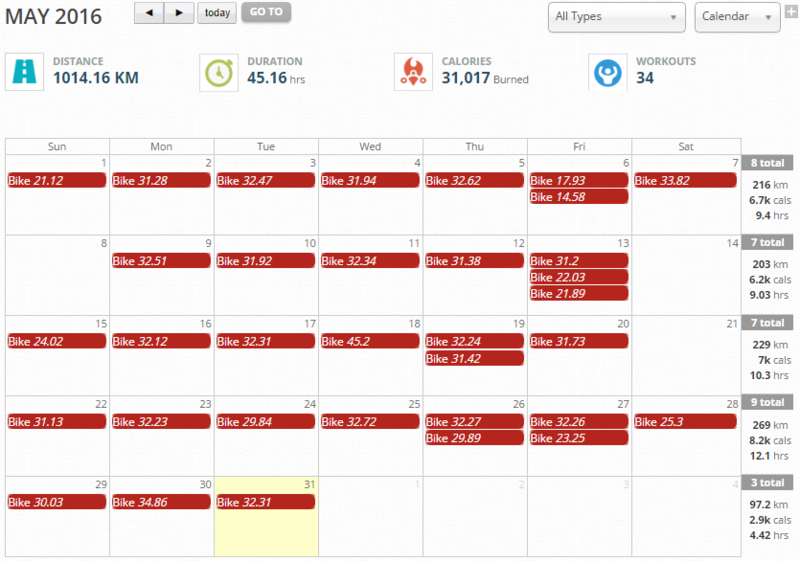 I wondered if I could reach 5000 KM in 2015 and set that as my goal. 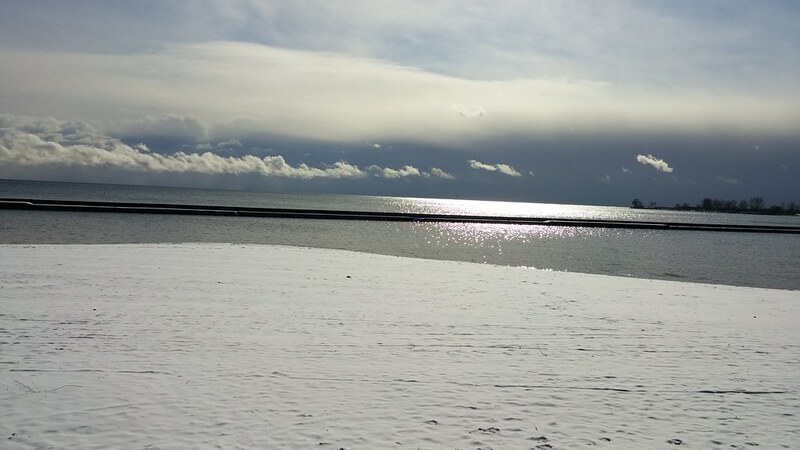 Earlier today, I went for a brisk 30.28 KM ride along the lake and called it a year. 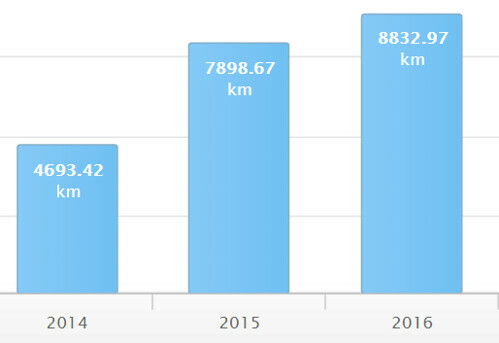 That brought my total for 2015 to a satisfying 7551.79 KM. That's right, I demolished my goal and made 2015 the most cycled year of my life. 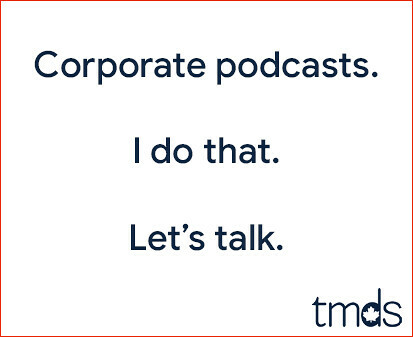 My goal for 2016 is far less precise. I aim to cycle when I can, and enjoy every minute of it.